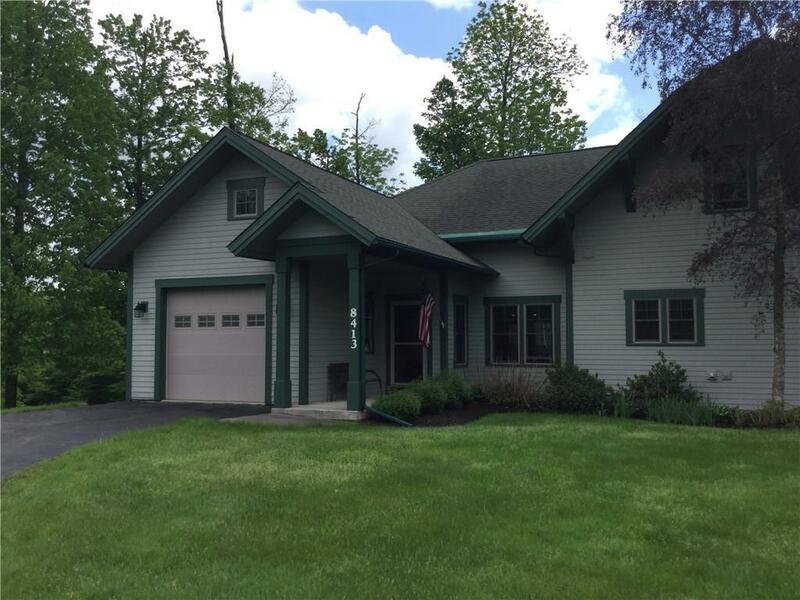 8413 Highlands #8413, Clymer, NY.| MLS# R1105532 | Chautauqua Lake Real Estate Services. Informed, Professional Real Estate Information Serving Buyers and Sellers Interested in Lake Chautauqua Real Estate and Chautauqua County NY Real Estate. Rick and Julia McMahon Real Estate Advantage Since 1992. ABSOLUTELY STUNNING! This condo sits at the top of Chair 8 and is a true ski in ski out Home. Pull on your boots and grab your skis as you leave the heated ski room dedicated for storing all your winter gear. Dry your boots on the built in boot dryer and warm up by one of the stone fireplaces. This elegant custom kitchen is equipped with a professional Garland flat top for large crowd cooking. Granite countertops, updated bathrooms, so many extras. MOTIVATED SELLER. Get ready for the golf season located within walking distance. There's also an outdoor pool close and included in the HOA. Internet and cable are included in HOA. Directions To Property: I86 To Findley Lake. Follow Signs To Peeknpeak. Canterbury Drive To Highlands Across From Upper Course. Home Sits At The Top Of Chair 8.